The Warrior range of fork extensions are a simple but effective way of lengthening your forks to handle longer loads safely without damaging the load. 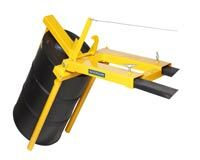 Manufactured from heavy duty steel channel they will fit on to forks up to 50mm thick. Steel retainers prevent the forks from sliding off. 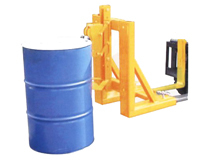 We recommend that you check with the manufacturer of your lift truck its capabilities when lifting at a greater load centre. Fork extensions should not exceed the length of fork to which they are fitted by more than 4%. 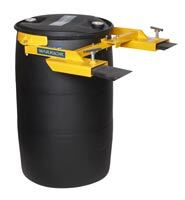 Tipping containers are exceptionally well suited for sorting waste. 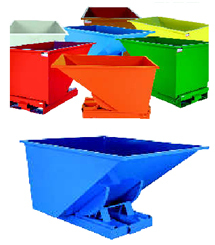 They can be supplied in appropriate colours as recommended by the refuse collection board. TIPPO is reinforced in the correct places to withstand tough truck handling. Accessories: Flat cover for open tipping containers. Can be easily mounted later. 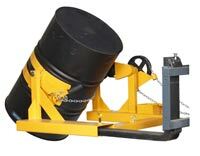 WARRIOR Automatic Drum Clamps for Forklift Trucks. Forklift not what it used to be? Need some spare parts? Then look no further! 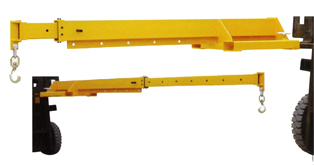 As well as being the market leader in forklift attachments, here at One Stop Handling we also have unparalleled access to Forklift Parts for all makes and models. 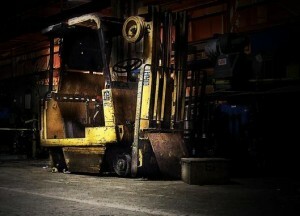 We understand that your forklift is an integral part of your business and that you cannot be without your forklift for long. That’s why we can have your parts in 24 hours to help get you back up and running. Nothing is too big or small so whether it’s a wheel nut, a filter, a seat or a whole new engine you need then give us a call. Then one of our qualified engineers will call out and find the source of your problem. We have years of experience in the materials handling business and we understand the pressures and time constraints our customers are under. So, if your machinery isn’t working as it should, then call One Stop Handling and we’ll have you back on your wheels in no time!